Though Marilyn was very secretive about her beauty routines, it’s believed that she washed her face with Shu Uemera cleansing oil and then would splash it 15 times with cold water to seal the pores. Her skin was always flawless, with just thin layers of Vaseline, powder and Elizabeth Arden’s Pat-a-Creme to create a glowing base. Today, I would recommend MAC’s Prep + Prime to create a smooth base and help makeup stay on for longer. Next, apply a light layer of foundation and dot on concealer where needed. Follow with a translucent loose powder to set everything. 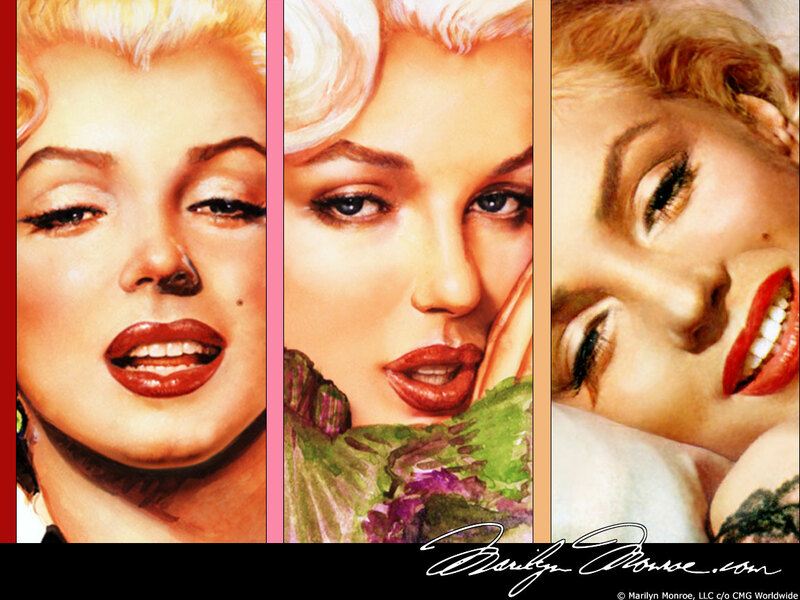 Marilyn’s eyes were always one of her signature features. Whitey Snyder, her makeup artist, always used a white kohl pencil to line the inside rims, making them appear larger. For added effect, continue the white line outwards for about ¼ inch, angling slightly upwards. Add false lashes and loads of black mascara. Skip the black eyeliner… Marilyn usually wore brown or dark brown. Draw narrow lines very close to the top and bottom lash line and continue outwards; make sure the two lines don’t meet. Another trick: Marilyn always applied a very thin line of gold liner above the brown on the upper lid. Keep it thin for a just-there glam effect! Eyeshadow should be subtle – a backdrop to all the other drama rather than the main show. Keep it simple with light brown shadow in the crease of the eyelid and the outer area below the brow. Then add a luminescent off-white to the centre of the lid, brow bone and in the corner of the eye. For her intensely sculpted features, Marilyn depended on pink or coral blush swept below the cheekbones, on the temples, and around and under the jawline. Follow with a shimmer highlight on top of the cheekbone all the way to the corner of the eye, on top of the chin, on the t-zone and on the forehead. 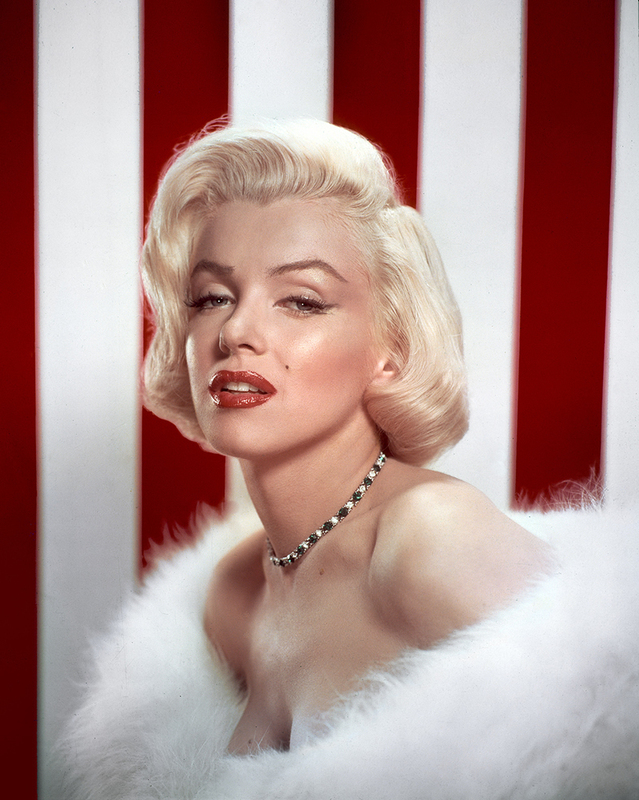 Finally, those unforgettable lips – to create that signature pout, Marilyn always used a mixture of multiple shades. To keep it more do-able in the 21st century, fill lips with a red liner and layer on the red lipstick (with a brush for precision) that best complements your skin tone (if you want Marilyn’s exact hue, try Guerlain’s Kiss Kiss Lipstick in Insolence de Rouge). Shadow the colour for voluptuousness, keeping it darker on the outer edges and lighter in the middle. Then add a thin layer of gloss, finishing with a dab of highlighter in the centre of the bottom lip and top of the cupid’s bow.